Synopsis: Once upon a time, in a land far away from here, lived a girl named Olga. Olga lived with her father in a beautiful house, and they were very happy together. Until Olga’s father one day fell in love again … His new wife was cruel and mean. And her sister Baba Yaga, who lived in a dark forest, was even meaner. Baba Yaga was a real witch! There was a rumor she was fond of children … on her plate! One day Olga’s stepmother sent her to Baba Yaga. What was she supposed to do now? About the Author: An Leysen is an art teacher in secondary school. Her experience with children has inspired her to start writing and illustrating her own books. 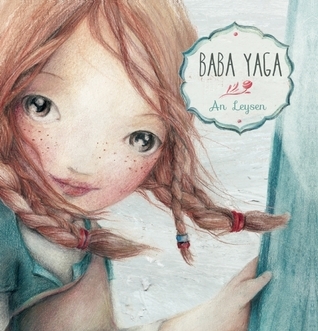 Review: Not for younger readers, this beautifully illustrated retelling of an old legend about Baba Yaga the witch in the woods is a great fairy tale. The story is enticing and will have you on the edge of your seat. If you love the original versions of fairy tales, then you'll love this book!